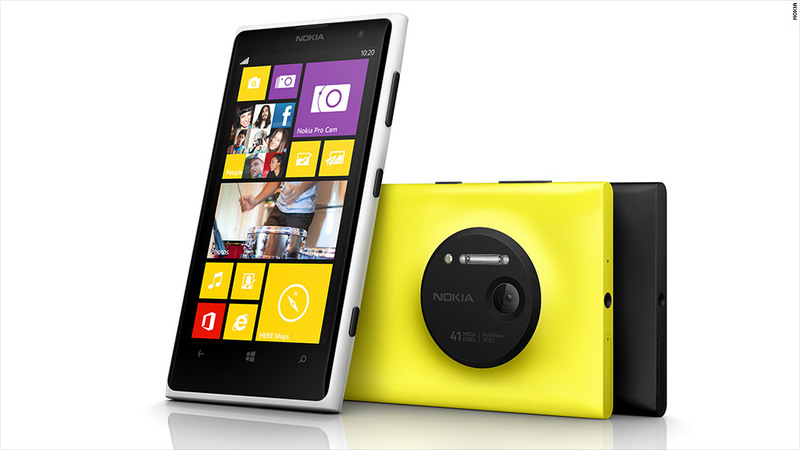 The new Lumia 1020 has the potential be a photographer's smartphone dream. To support this blinged-out camera, there will be apps from both Nokia and third-party developers. Nokia's excellent Pro Camera app allows full manual control over your images, with an intuitive interface that gives quick access to settings including exposure, ISO, shutter speed and white balance. Apps from Vyclone, Path, Snapcam, Panagraph, Hipstamatic, and, yes, CNN, will be newly available or updated to take full advantage of the camera. On stage at the new phone's New York unveiling, Nokia CEO Stephen Elop made a vague reference to Hipstamatic allowing uploading to rival photo app Instagram (owned by Facebook (FB)) -- a wildly popular service that has no official app for Windows Phone. But whether or not this is the Nokia (NOK) phone to buy still (still!) remains to be seen. Windows Phone 8.1 has yet to be released, and it will support a beefier processor than the dual-core Snapdragon Nokia is using here. While you won't notice the extra power in general use, a quad-core processor could come in handy for quicker processing of these PureView images. Nokia CEO Stephen Elop confirmed that Nokia will have a another major phone launch later this year. For those who can't wait, the Lumia 1020 will arrive at AT&T (T) stores on July 26 for $300 with a two-year contract.